Get your swimsuit, goggles, and your cleats and soccer ball ready! After 20 years of The Big Swim, we’re introducing soccer to expand our celebration of sports at our first-ever Big Swim Big Kick. Asphalt Green is a nonprofit, and each year, we help 33,000 youth and adults live an active life through our free community programs. The Big Swim Big Kick is the ultimate celebration of our mission. On May 7, 2016, we’re opening our doors to the public for a fun-filled day of swim races in our Olympic-sized pool, soccer activities on our athletic field, and a benefit luncheon supporting our free programs. The two free events for kids ages 6 to 10 will occur at our Upper East Side campus. 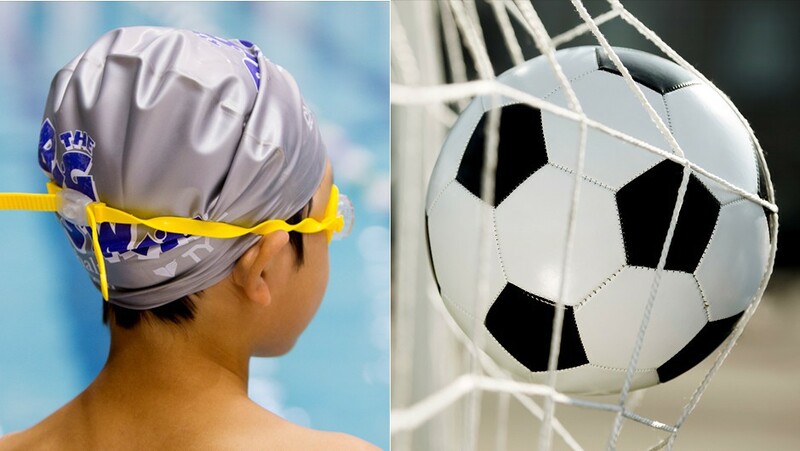 In our AquaCenter, children will experience the thrill of a 25-yard freestyle race in our Olympic-sized pool, and on our athletic field, kids will learn soccer fundamentals through engaging dribbling, passing, and shooting activities. This is no ordinary event! The day will include a showcase of synchronized swimming and diving and a soccer show on our athletic field. Those attending the benefit luncheon will get an up-close view of all the excitement. Last year, The Big Swim raised a record-breaking $1 million to transform the lives of New Yorkers through sports and fitness. Help us break even more records this year by getting in on the Big Swim Big Kick action!